Well, we've seen an action packed couple of days here at Port Regis. 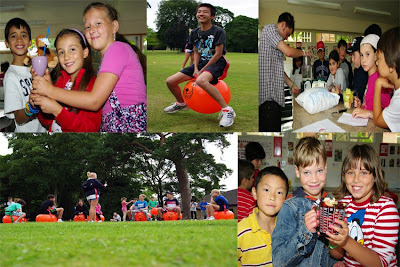 After classes, the children stretched their legs during the their Wednesday excursion with the juniors going to monkey world and the seniors having a tour of historic Salisbury. On their return, the house football tournament brought out the competitive streak in all of us, especially during the staff vs students' final (The staff won 1-0 by the way). Well done to the Blue Edinburgh house for being overall champions. Our taste buds were tantalised this morning when the juniors concocted a whole range of fresh fruit smoothies while the seniors bounced their way to victory with a series of hilarious space hopper games which seem to be a new camp favourite. Will we discover the new Stella McCartney at at tonight's senior fashion show or how about the new David Attenborough during the junior's early evening nature walk? Look out for our update tomorrow to find out.